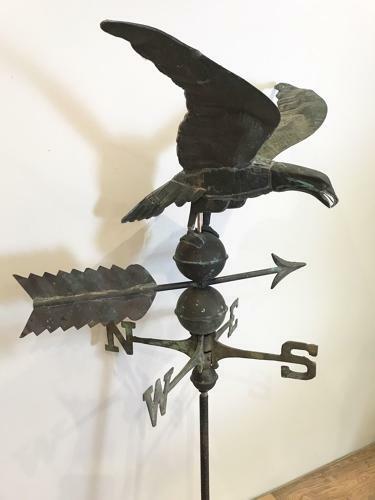 A fantastic late 19th century copper weathervane of an Eagle with outstretched wings, It has a nice 3D body with original directional arrow and letters and balls. Later additions to the rod. The Eagle itself measures 36cm high x 56 long x 41 cm deep. Circa 1890-1900.